Move the line so that it seems to fit the points best. (Click and drag the red points) Then click the button (multiple times) to calculate how well you did. 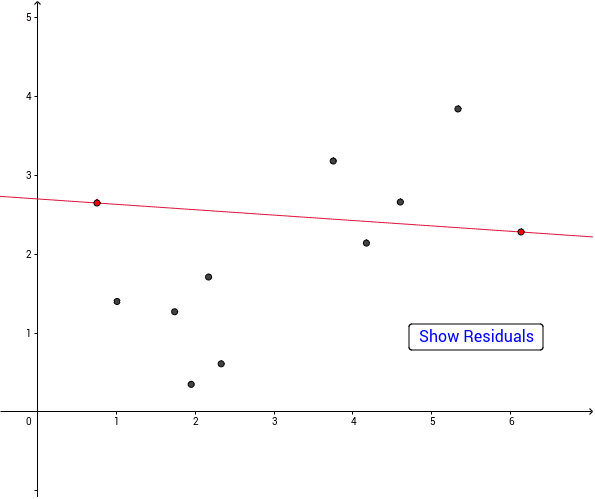 Each time you click the button, you will see one residual added to the diagram and the sum of the squares of all the shown residuals will also appear.